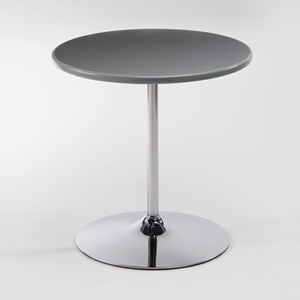 PS Furniture technology has reinvented the traditional “knock-down” style cafe table. 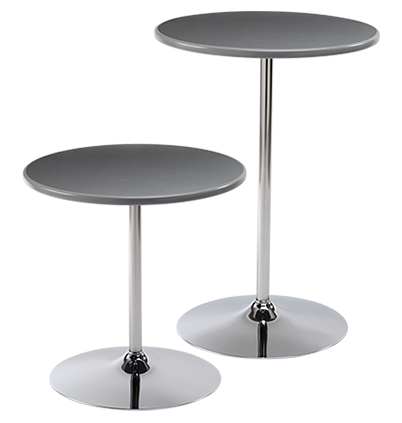 With patented lightweight panel technology, Revolution® Cafe Tables weigh 2/3 of what the competition does. 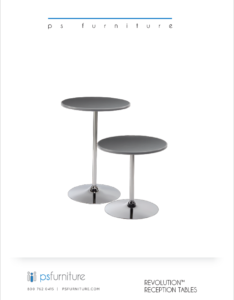 They also store unlike any other cafe table. 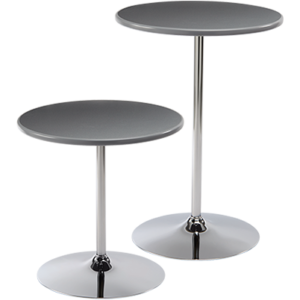 What makes this work is the internal column connection, so Revolution® Cafe Tables store like discs, flat against one another. 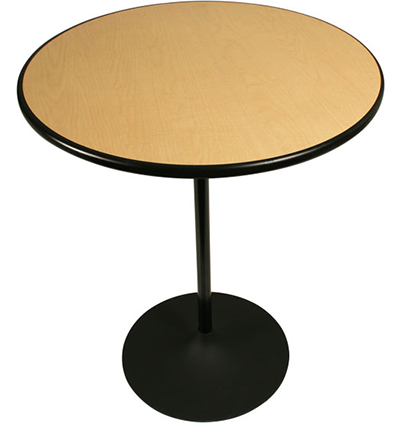 Traditional cafe tables are terribly heavy, made with a particle or fiber board core, and weighing more than 40 lbs. 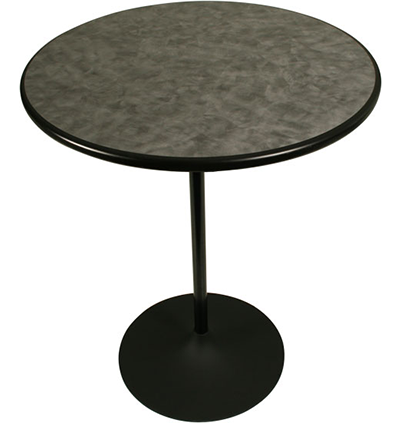 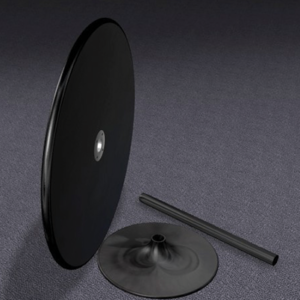 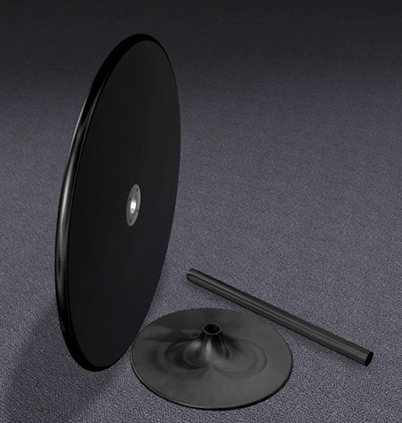 With its patented lightweight panel technology, a 36” diameter round Revolution® table weighs only 15 lbs. 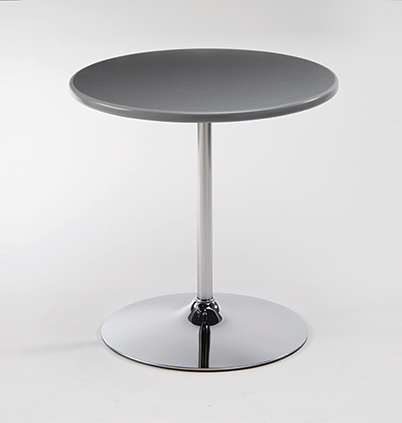 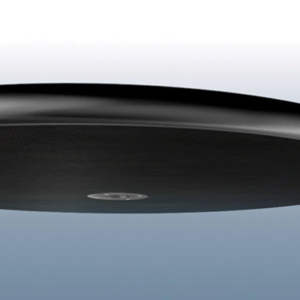 MAXX Edge® adds a perfect finish to your tables. 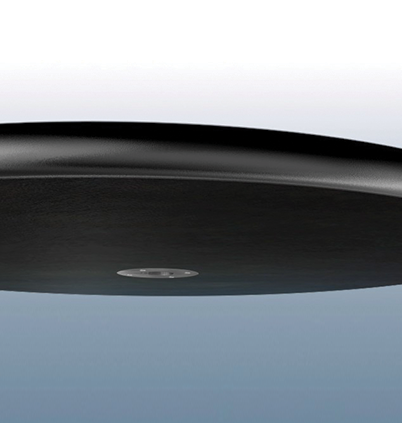 Literally bonded to the table core, MAXX Edge® leaves no gaps for food or bacteria to collect. 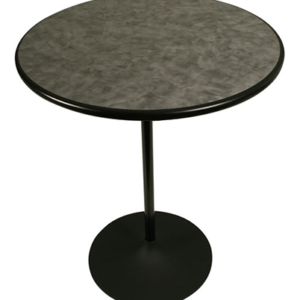 With your choice of Formica® or Wilsonart® laminate finishes, plus a rich-looking 30mm profile, Revolution® tables never need to be covered. 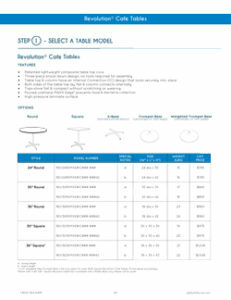 With the complete, self-contained HD-CCT30-REV transport cart, a single person can move 20 of our new tables through a standard doorway (32” width) and even inside a passenger elevator!! 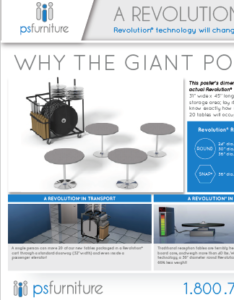 That’s right, one person can move 20 tables at once through a standard door way… truly revolutionary. 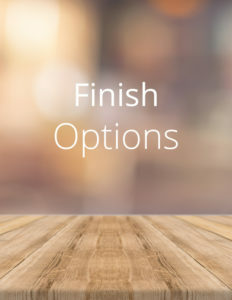 Available in full or half packages.